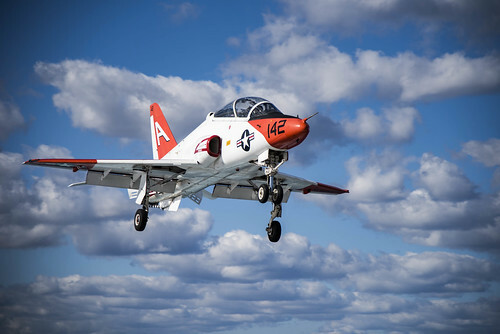 WASHINGTON - The Navy today announced it is conducting a comprehensive review of the facts, circumstances and processes surrounding the recent physiological episodes involving T-45 and F/A-18 aircrew, to include how these issues have been addressed. On April 21, Vice Chief of Naval Operations Adm. Bill Moran directed Commander, U.S. Pacific Fleet Adm. Scott Swift to lead the review and determine the composition of the review team. It is expected that at the completion of the review, Swift will be able to validate current actions and recommend additional actions, if any, that need to be taken. In the tasking memo Moran wrote, "The seriousness in which I view these incidents is reflected in the seniority of those leading this review. They will provide a full and open accounting to our aviation community, their families and the public." Physiological episodes occur when aircrew experience a decrease in performance due to the cabin pressure fluctuations, contamination of breathing air, or other factors in the flight environment. The Naval Aviation Enterprise and Navy leadership view PEs as the number one aviation safety priority and are taking an "unconstrained resource" approach to finding solutions. Swift will provide the results of the review to Moran within 30 days.